If you wear hearing aids, spring means protecting them against hot temperatures and increased exposure to moisture. The constant changes in temperature result in a build up of moisture inside the hearing aid so here are some of our hearing aid maintenance tips this summer. Avoid storing your hearing aids in the glove box or on the dashboard of your car. Never leave your hearing aids in the car during the summer as the temperature inside the car can get really hot as well. Make sure to store them in the shade. You may also want to look at hearing aids with nano-coating, which makes condensation and moisture go away. If your outdoor activity includes swimming, or anything involving water, it is best to remove your hearing aids completely. Salt water, for example, can leave crystals on your device when they dry and can cause permanent damage. When you are near the pool area, it is recommended that you don’t get near diving boards or go poolside, where there is a possibility of getting splashed. Sunscreen has oils that can damage hearing aids, so apply lotions or sprays completely before putting on your hearing aids. Be sure that the sunscreen is fully rubbed in or dry before putting your hearing aids back on or the oils will seep into open seams and microphone ports or vents. To turn the hearing aid on, close the battery cover and push it up-wards. The hearing aid will play a sound signal to indicate that it is on, unless your hearing care professional has deactivated this function. To turn off the hearing aid, push the battery cover downwards. You can also cup the hearing aid in your hand to verify that it is turned on. If it's on, it will whistle. Don't forget to turn off the hearing aid when it is not in use. Specific instructions may vary depending on the exact model of your hearing aid. Consult manual or give us a call if in doubt. It is important that you look after your hearing aids and clean them regularly. The tubing on your hearing aids will need to be changed every three to six months before it hardens, splits or causes problems. If you are not sure how to clean your hearing aids you can book an appointment and your audiologist will clean them as well as change the tubing for you. This video shows you how to clean an In The Carnal hearing aids. Specific instructions may vary depending on the exact model of your hearing aid. Consult manual or give us a call if in doubt. The Widex wax guard helps to protect the hearing aid against earwax. Always use Widex wax guards with your hearing aid. Otherwise the guarantee for your hearing aid will be void. To change the wax guard insert the removal hook into the used wax guard keeping the holder at a right angle and then pulling the used wax guard straight out. Insert the new wax guard into the opening of the sound outlet and press it gently. Remember that the wax guard is for one-time use only and is not intended to be cleaned. Specific instructions may vary depending on the exact model of your hearing aid. Consult manual or give us a call if in doubt. Make sure the battery is the right way round: the + on the battery should match the + on the battery compartment. When you close the battery compartment, don’t force it shut. If the compartment sticks, it might be because the battery is in the wrong way round. 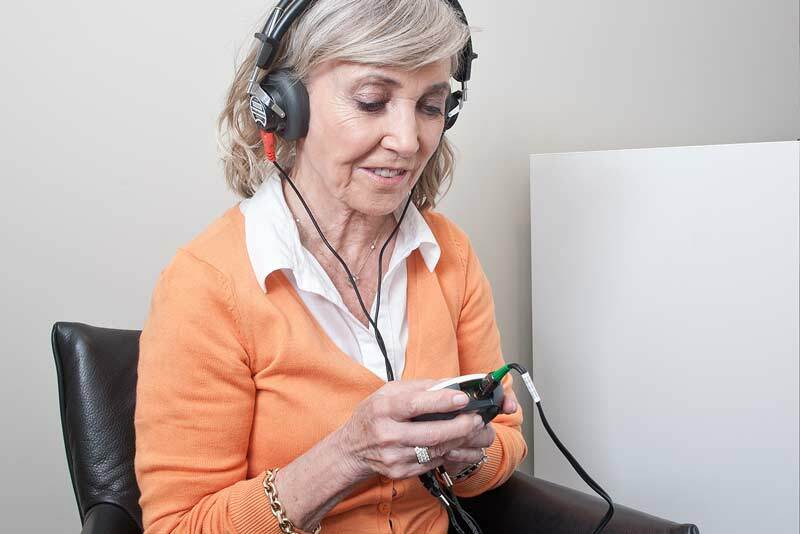 Check that the hearing aid is working properly after you have changed the battery. Specific instructions may vary depending on the exact model of your hearing aid. Consult your user instructions or give us a call if in doubt. Take the adhesive tab off the new battery and make sure there is no sticky substance left on it. Let it "breathe" for 60 seconds. Use the nail grip to gently swing the battery door open and remove the old battery. Now place the new battery in the drawer as shown. Close the drawer. If it doesn't close easily, the battery is not placed correctly. If you are not using the hearing aid for a few days, remove the battery. Avoid dropping your hearing aid - hold the hearing aid above a soft surface while changing the battery. Never leave a flat battery in the hearing aids while storing them. It could leak and ruin your hearing aid. Specific instructions may vary depending on the exact model of your hearing aid. Consult your user instructions or give us a call if in doubt. To turn the hearing aid on, close the battery lid. The hearing aid will play a sound signal to indicate that it is on, unless your hearing care professional has deactivated this function. To turn off the hearing aid, push the battery lid down-wards. You can also cup the hearing aid in your hand to verify that it is turned on. If it's on, it will whistle. Don't forget to turn off the hearing aid when it is not in use. Specific instructions may vary depending on the exact model of your hearing aid. Consult your user instructions or give us a call if in doubt.